The all new Tacoma seat wedge offers a wide mouth opening for easier access. Reflective trim and light clip attachment increase visibility. 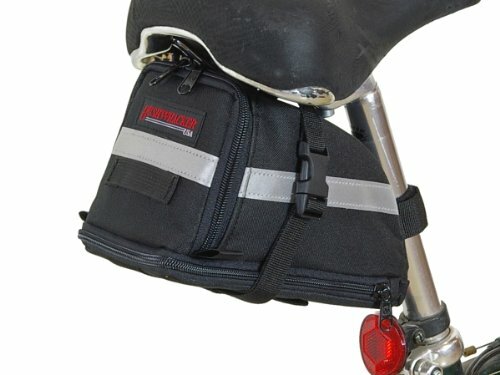 Attaches under seat with two quick secure straps. Stiff inner shell maintains its shape. Expandable design almost doubles its capacity. Reflective Trim and light clip attachment for increased visibility. Attaches under seat with two quick secure straps. Stiff inner shell maintains its shape. Expands for increased capacity.